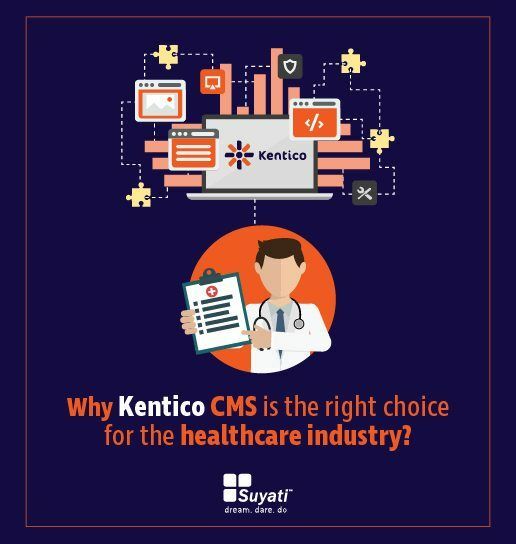 How can Kentico CMS support healthcare industry? The healthcare organizations face a continuous data explosion and more than 95% of the healthcare professionals cite consistent inaccuracies in data. Managing the increasing volume of data and various other content formats pose a great challenge, and if the healthcare firms are non-digital savvy, they remain far behind in the competition. Migrating to a content management system is essential, as it can handle the woes of inconsistent data, provide up-to-date content to patients, content translations, notifications, and above all, support healthcare companies in managing content effectively. There are several considerations that healthcare firms should take into account, while selecting a CMS. Here’s how Kentico, the most innovative .NET based omnichannel CMS addresses the pain points faced by healthcare industry. Download your free copy of this e-book today.